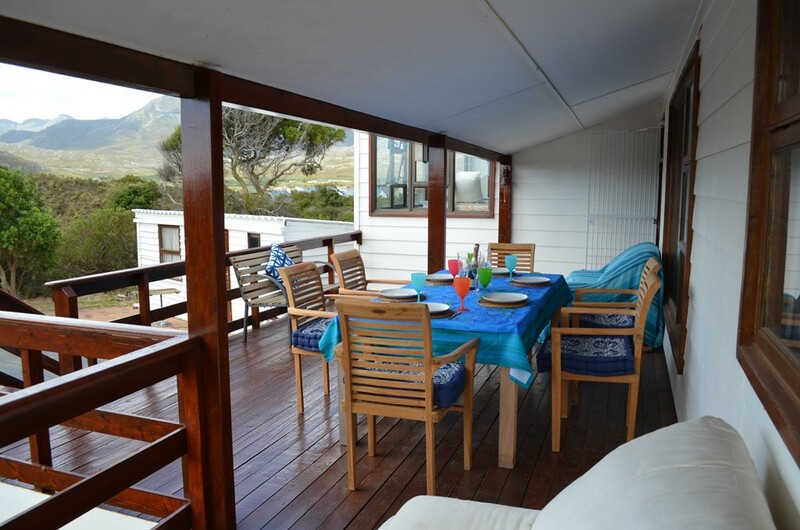 The Mermaid's Tail is a charming comfortably furnished Cape Cod style self-catering cottage in the coastal holiday town of Pringle Bay. 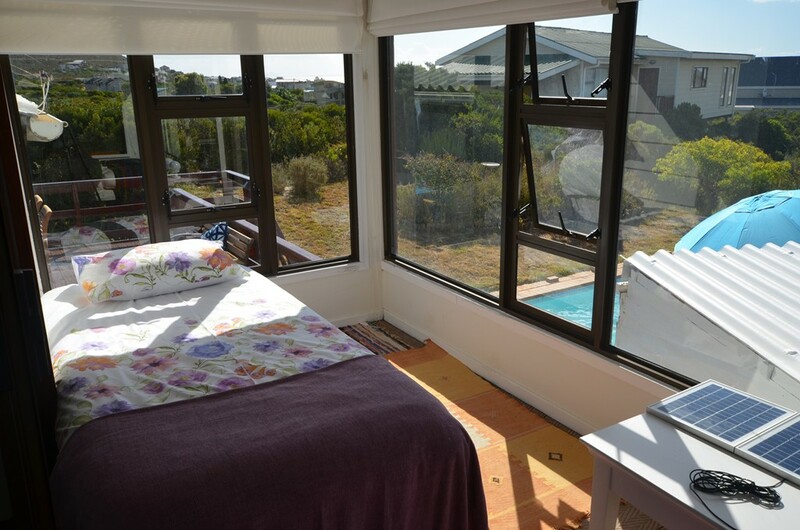 It is ideal for a family beach holiday and is 600 m from the beach - an easy 10 minute walk. It sleeps up to 7 people in three double bedooms plus a bed in a sunroom. 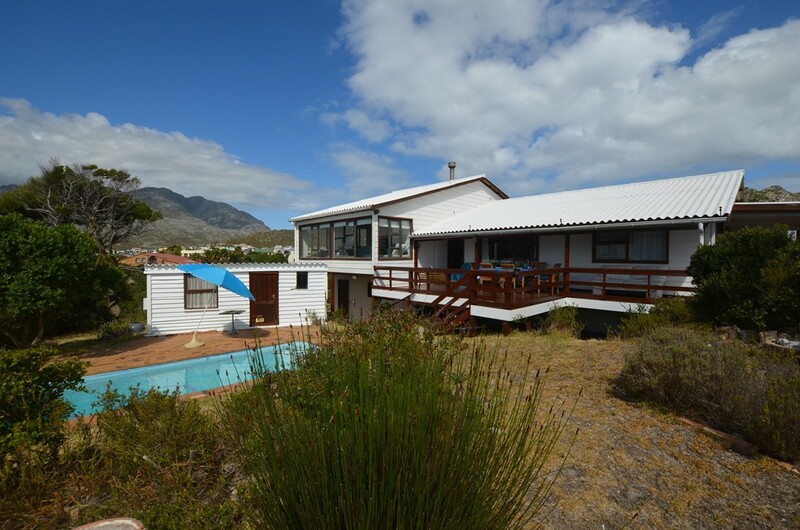 It has 3 bathrooms, an outside deck with beautiful sea and mountain views, a pool, BBQ and indoor woodburning heater and a double garage. There is full uncapped wireless internet and full satellite TV. 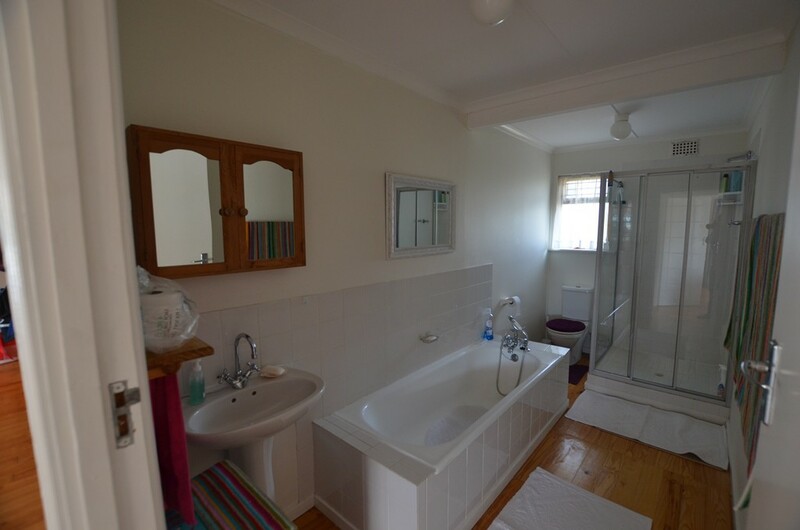 It is on a large 2,100 square metre property with secure garage parking for 2 cars. 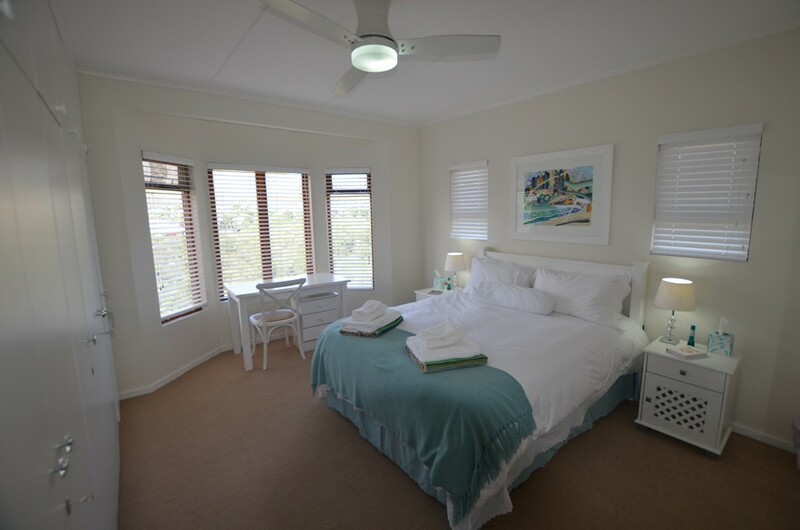 The beds are very comfortable with crisp white cotton linen, goose down duvets and towels provided. There are 4 bicylces, boogie boards (soft body surf boards), with beach and pool toys for kids provided. 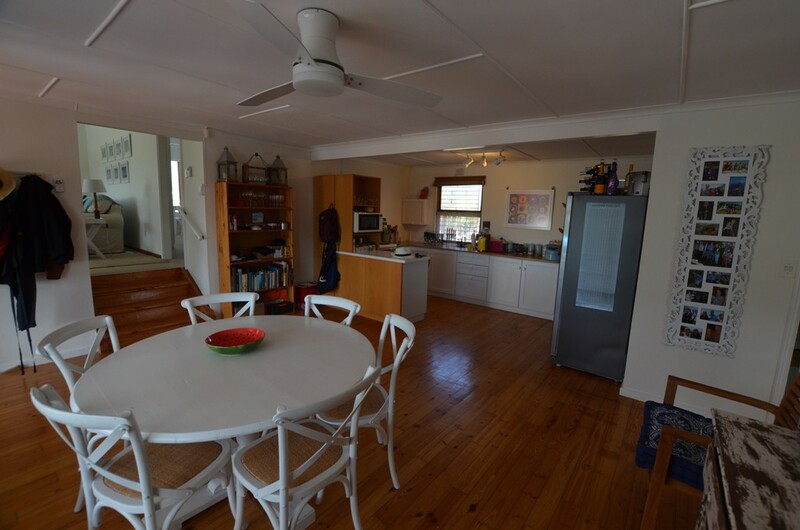 The kitchen is fully equipped with high quality appliances, ample crockery and utensils. Tea & coffee is provided, as well as basic condiments. 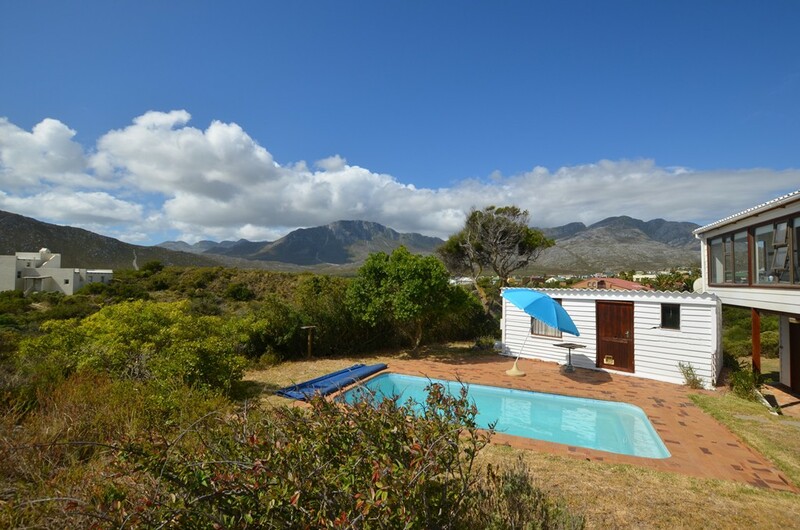 The Mermaid’s Tail is a charming self-catering Cape Cod style house in Pringle Bay, a beautiful seaside village 70 kilometres (44 miles) from Cape Town International Airport, South Africa. 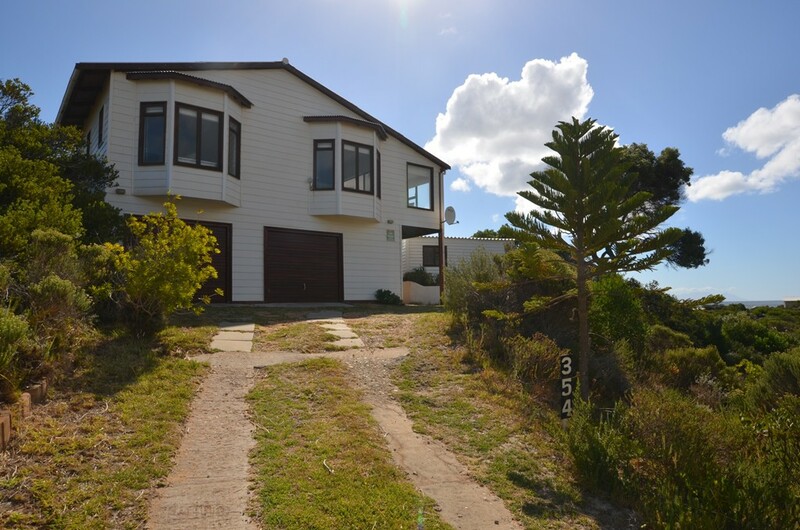 The house is 180 square metres in size, on 2,100 square metre grounds, with wrap around sea and mountain views with a wild fynbos (heather) garden which attracts many species of birds. 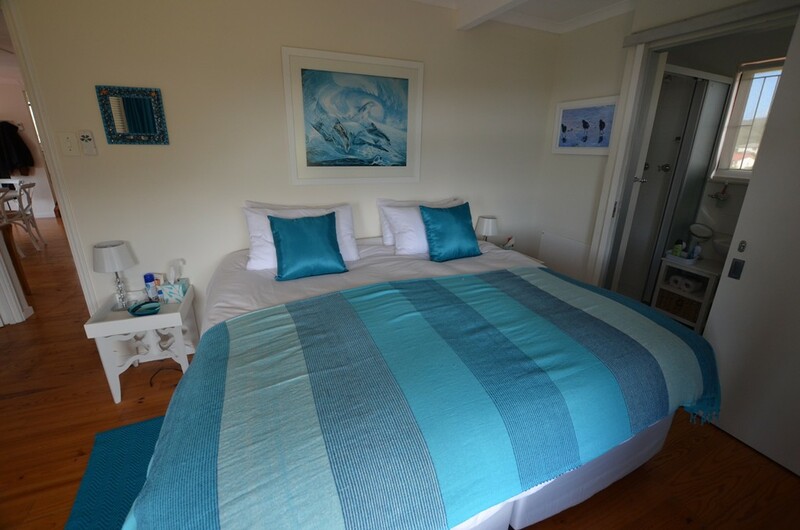 It has three double bedrooms with good quality mattresses and white cotton linen, three bathrooms, a lounge with sunroom and extra bed, open plan kitchen dining area with a separate scullery. 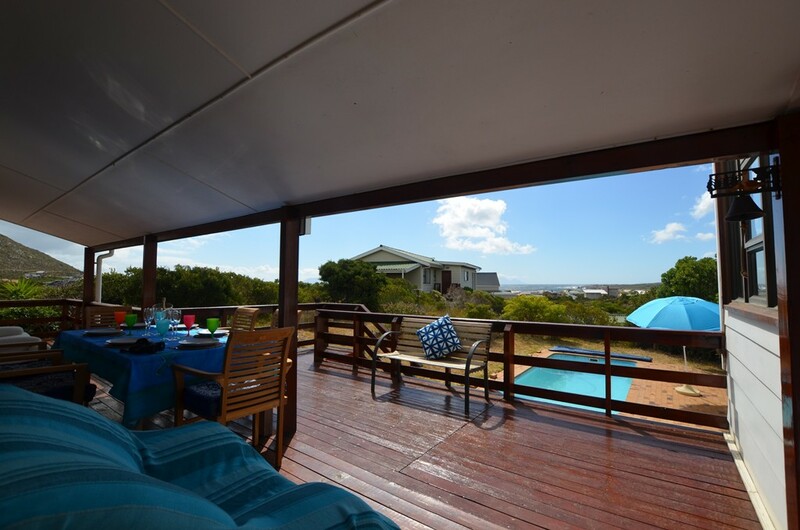 A sheltered timber deck overlooks a sparkling swimming pool, with sea views, perfect for barbeques and sun downers. There is a double garage, equipped with boogie boards, two mountain bikes, two basic bicycles and two sets of fishing rods and tackle, plus beach and pool toys for kids. Safety features include a security-linked alarm, smoke detectors, fire extinguishers and a comprehensive first aid kit. The lounge has a wood-burning heater and the bedrooms contain panel heaters for winter and ceiling fans to keep cool in summer. 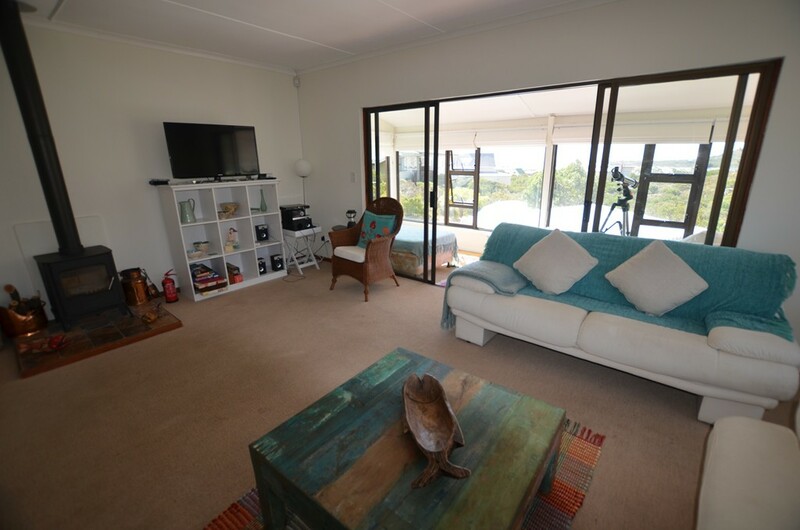 The lounge is equipped with satellite TV and an uncapped wireless internet service. The house is 600 metres (660 yards) from the beach and 400 metres (440 yards) from shops and restaurants in the village centre. The area has beautiful beaches, safe for swimming, surfing and kite-surfing with life guards present in summer season. There are numerous mountain walks and bicycle trails close by. 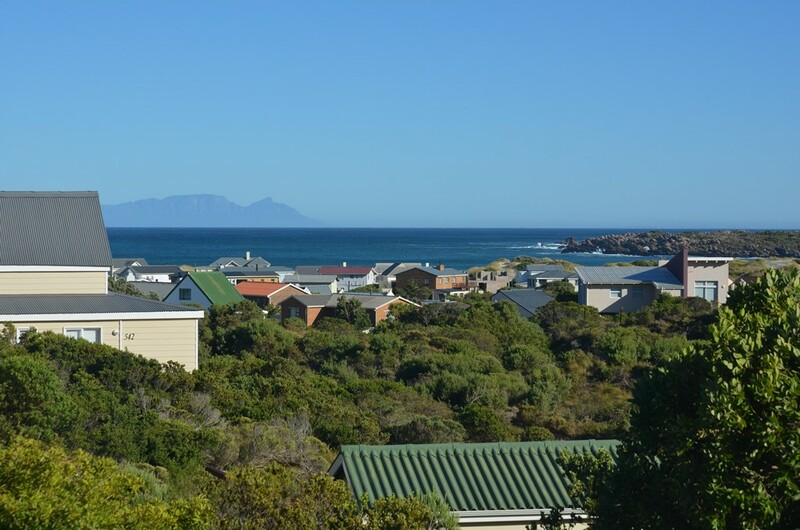 There are numerous tourist attractions in the region, including wine tasting, whale watching and shark-cage diving.